Greetings all. Just a few words and a few more words about this anthology and how it came about. The idea for the collection came from a discussion, in Istanbul, between myself and Les Wicks at the International Poetry Festival there, a few years ago. It was a discussion involving some Turkish poets and translators as well. Some background. 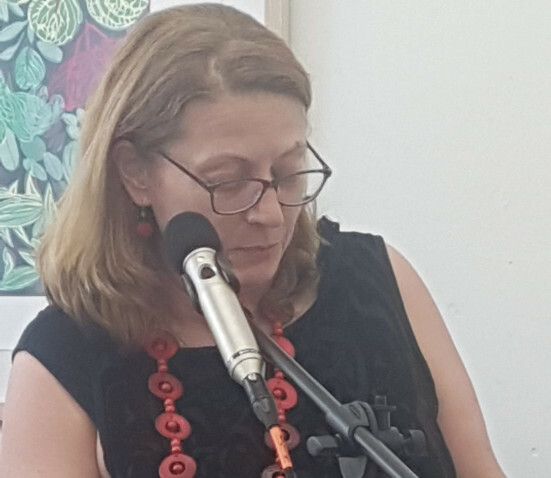 We were annoyed because the Department of Foriegn Affairs and Trade (DFAT) had just pulled the plug on funding for a reading that we were scheduled to be doing at Gallipoli. No explanation of course. Who can comment on operational matters involving the conscience all at sea? But we quickly came to the conclusion it might have something to do with our credentials as peace-nik poets, so to speak. Being in Turkey and contemplating Gallipoli and the centenary that had just happened, we thought it would be a good thing to bring together a bilingual parallel text collection of Australian/New Zealand and Turkish poets (everything translated both ways), reflecting on, not the first ANZAC day per se, but rather the centenary of it. Reflecting on what it means to Turks and to Australians, and what there might be of this, in either culture, deeper than the official account and general solemn ra-ra – for in our case, the sacred national icon of this particular biscuit (the ANZAC communion wafer). We were interested in reflecting on the reflection you could say. We were interested in setting up a two-way poetry mirror, a particular one not seen before. There are traces of that original idea in this collection you’re holding in your hand today, thanks to the generous assistance of David Musgrave and Puncher and Wattmann. As you’ll know, things have become progressively more difficult politically in Turkey over the past few years since Les and I were last there, and especially for progressive intellectuals or anyone wishing to critique the received wisdom of, for instance, national origins. This WWI period which marks the end of the Ottoman Empire and the rise of Attaturk’s modern Turkish state – is particularly sensitive. This is precisely what had made the original idea of the bilingual anthology very attractive to us – that this conflict a hundred years ago, and its beginnings and endings had so much to do, in Australia’s and in Turkey’s case, with our originary myths of nationhood – ‘baptism of fire’ myths, of the kind that were very prevalent in Australia at the time of Federation and from that time up until the beginning of the First World War. …An’ watch the (bastards) run. Probably the best known lyrics of the time relating specifically to Australia’s participation in the First World War are those of W.W. Francis’ ‘Australia will be there!’. It was adopted by the AIF from the war’s beginning and remained popular throughout. Keep your eye on Germany! Have no cause to fear! No! No! No! No! No! Australia will be there! Let’s note that ‘the banner of your country’ referred to here was unlikely to have been the Australian flag. Though it had been invented for a competition in 1901, and had some official status by 1908, this wasn’t clarified until Menzies’ Flags Act of 1953. Though many Australians today, in love with the eternal quality of their national devotions find it hard to believe, it was the Union Jack that mainly draped the coffins of the WWI Australian war dead. There was no Australian passport till 1949 either. Now while Australian and New Zealand losses in the Gallipoli campaign and throughout WWI were devastatingly high (witness the WWI wall at the War Memorial in Canberra), the Turkish losses at Gallipoli may have been ten times as high as the ANZACs’. We Australians and New Zealanders lost that battle but we won the war. The Turks paid the higher price. But were they Turkish losses or ANZAC losses? They were the losses of respective empires – the Ottoman and the British. The senseless and useless pain and suffering Turks and Australians experienced in the Gallipoli event, and for generations after, was at the command and in the service of world empires. Between then and now, Australians have indeed once defended this continent from foreign invasion, but one hundred years and more later, Australians are dying on foreign battlefields, still in the service of world empire – still in the service of a white man’s world empire. The other heartstring tugger has been the (relentlessly advertised) Invictus games. Let’s think about what they are. A moving celebration of the determination, the courage, the resilience of those otherwise broken by war. Yes. Can anyone doubt the value of this exercise for the sportsmen and women involved? Can anyone doubt the debt these people are owed by the nation states for whom they have given their all? But how do these games and the powerful emotion they generate make us feel about war and about the causes of war? And about our responsibility for war, in our case, as voters in a parliamentary democracy? Royal patronage takes things out of the political domain and helps us to not ask questions. Questions for instance about corporate sponsorship for the games from entities that profit by making weapons and weapons systems. Is anyone brave enough to criticise INVICTUS? Invictus? And who is undefeated?. These brave broken warriors of ours of course! Who have they – who have we – fought? And why? Who have they – have we – defeated? And how just was our cause? How proud of our participation in these conflict should we – should they – be? Is it sacrilege to ask such questions? The wars in which Australia, and most of the other Invictus participating nations, have engaged in the last two decades have been under the general umbrella of a global war on terror, or what could be considered a long term reprisal for 9/11 attacks on New York and Washington DC (attacks resulting in roughly 3000 deaths in 2001). Let us consider these numbers for a sense of proportion and in order especially – self-interestedly – to ask whether the wars on terror have made us safer. Richard Clarke, a counter-terrorism expert who worked in the US National Security Council between 1992 and 2003 was highly critical of the Bush Administration’s counter terrorism strategy and decision to invade Iraq (on trumped up ‘weapons of mass destruction’ intelligence). Clark has written, ‘far from addressing the popular appeal of the enemy that attacked us, Bush handed that enemy precisely what it wanted and needed, proof that America was at war with Islam, that we were the new Crusaders come to occupy Muslim land’. There has been too much taken for granted of what terror is and where it comes from. We need to ask now – in a global way – what terror is and who produces it. We’ve needed to ask this for a long time. We need to ask what it is that drives persons of conviction to kill themselves and others for a cause they feel to be just, for a cause they feel to be ignored. Is terror just about foreign looking types blowing themselves up and taking others, perhaps us, with them? Or is terror also something that could fall from the sky, directed by remote control, with the best – if still often flawed – technology in the world. Is terror something only worth reporting at any length when it happens to people who happen to look like us? Here are some old figures to help. Because of the difficulty and vagueness of record keeping, it is difficult to find accurate figures for (especially civilian) death tolls for Afghanistan and Iraq, due to Western-involved hostilities in these countries since 2001. Estimates as of a few years ago for Afghanistan have been of over 31,000 civilian deaths due to war-related violence. Estimates as high as 360,000 additional fatalities have been made, based on a ratio of indirect to direct deaths in contemporary conflicts. Iraq War casualties had been estimated at 461,000 total deaths as of June 2011. I cannot see how the deaths of unarmed civilians, random or targeted, does not amount to terror. I cannot see how those who live beyond, and having witnessed, such events have not been terrorized. Perspective! Saddam Hussein was undoubtedly a nasty and bloodthirsty tyrant; he was though very much less lethal to his people than we of the coalition of the willing have been. And what about the terrorist threat at home? Australians have died in numbers in overseas terror attacks (especially Bali – 92 deaths in 2002 and 2004), but since 1972 there have been 15 deaths in Australia from terrorist attacks (5 of those 15 deaths were of perpetrators). Since 9/11 there have been 5 deaths of Australian (non-perpetrators) on Australian soil due to terror attacks. Have we got things in perspective here? Think of the road toll since that time. Think of deaths from cigarettes, deaths from sugary drinks. Think of the 373 deaths by suicide of former Australian military personnel between 2002 and 2016. For 2014–2016, ex-serving men aged under 30 had a suicide rate 2.2 times that of Australian men the same age. Think of black deaths in custody. Think of the number of Australian women who have died as result of violence from their partners so far this year. The figure of the digger looms large for Australians in history’s mythic page. It suggests long continuities in the Australian story – from the Goldfields (conjuring the spirit of Eureka) to the trenches in France, and till today. What were we doing at Gallipoli? We know now that Gallipoli was stupid and unfair in the way imperialism and racism and greed are wrong and stupid. It was the wrong place for Australians and New Zealanders to be; it was the wrong reason for them to be there. But having been there still makes us who we are. And that’s why we shouldn’t forget. Here’s the key point: a continuity masks a discontinuity. The reason we should continue to say lest we forget in the twenty first century is the opposite of the reason why this was the right thing for white British people in Australia to say eighty years ago. The sacrifice of Australians who lost their lives at Galipoli wasn’t noble or worthwhile. It was just idiotic. They were being used and used stupidly. It was the sacrifice of sub-imperial entities, ‘The Commonwealth of Australia’ and ‘The Dominion of New Zealand’, on behalf of the British Empire. These are some of the things we shouldn’t forget. It’s not immediately clear what role ‘national’ identity played in this sacrifice, but in memory of the senseless credulity of Australia and Australians, in memory of their mindless obedience to people who declared themselves their betters, we should never forget Galipoli, the Anzacs. The lesson the whole world should not forget in the case of the Great War, as in the case of many other conflicts, was neatly expressed by Noam Chomsky in his book 9-11: ‘We need not stride resolutely towards catastrophe, merely because those are the marching orders’. The memory of Gallipoli has been the perfect counterbalance to the forgetting of the great (and shameful) British victory that Australia has been since the invasion began in 1788. The memory of Gallipoli has been the perfect counterbalance to the forgetting of Aboriginal Australia which white Australia needed to do in order to justify itself. One war far away in which we were the victims, the heroes, the martyrs. One war over there to forgive and forget the unmentionable war which gave us our land and made us who we are and can be. The unleashing of Australian fury at the Turk on Turkish soil involved multiple displacements in the emerging psyche of Australian and New Zealand, these British nations-coming-into-being. Well into the centenary of this tragic rhetorical train it is still our losses we mourn. Australian guilt for the fate of the nearly 100,000 Turks who died in the Galipoli campaign has never been seriously entertained. Today the Turks celebrate their victory at Canakkale as having enabled the consciousness of nation through which Ataturk would achieve the modern Turkish state. The paradox for them is that the successful defense of the Ottoman Empire enabled what is still today called an Independence War. After Galipoli, any ethical problem, which might have been associated with Australians having been there, faded naturally into the distance. How much guilt can one attach to martyrdom? Along with actual distance, the Treaties had consigned everything of the Great War and before to another world ‘over there’ & ‘back then’. But by then Galipoli had already served the function of displacing from popular consciousness the ethical problems associated with Australians being here and now in Australia. Sailing back to Byzantium for a bit. Me and Les on the Bosphorus! By the time it became clear that we would not have enough Turkish participation (despite the great numbers of brilliant Turkish poets) we already had a lot of interest from Australian poets who wanted to be part of the project. 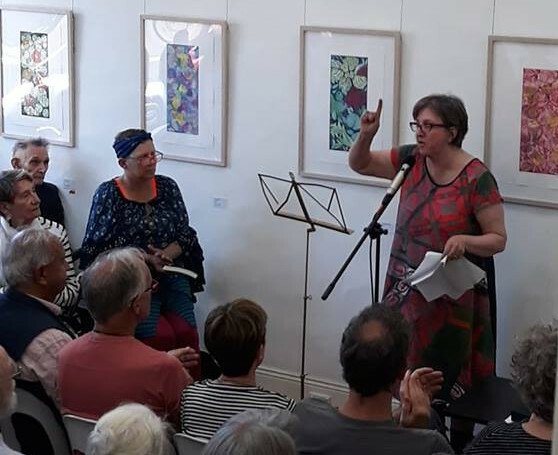 So this is how our Plan B came to be; the concept now simply being to have Australian and New Zealand poets reflect on the centenary of the Armistice ending the First World War. On the back of the book, we posit a ‘barely veiled triumphalism’ in the countries that were victorious. Having already been taken to task for this, I think it’s appropriate now to answer the question – just what does that mean? ‘A barely veiled triumphalism’. And aren’t we mean to be raining on this parade on behalf of all those who – like Jesus on the cross – died for us? Do we mock their suffering and sacrifice if we ask a few questions about it; for instance if we ask – was it worthwhile? And was it really actually for us? In fact I believe we honour the fallen when we make the effort to understand the meaning of their sacrifice, to understand the meaning of what happened to them. We honour the fallen when we try to understand, rather than making rote gestures of devotion, before the altar of nation or of empire. We honour the victims of rote gesture in this way by asking always ‘why’ (?). The Australian War Memorial cannot be claimed to be a celebration or a glorification or a justification for war, but it is a place of worship for nation. It makes war sacred and makes it an unchallengeable fact of our past and who we are. It is a demand for respect for the fallen – whom it is true age does not weary. Although the years may well, in some cases, condemn what they have done in our name, in the names of those they could never know. The War Memorial should be a place for reflection, for putting things in perspective. But perspective is precisely what we have lost in Australia when it comes to thinking about war, about our wars. The revival and the extraordinary amplification of the Gallipoli myth – what I would call the Gallipolisation of Australian self-recognition – is largely down to John Howard, and to those on both sides of parliament who have slavishly followed him into those trenches where we glory in our goodness and forget the harm we’ve done. I’d like to refer you to Ben Brooker’s excellent recent article, in Overland, about recent Australian spending on war commemorations. Just a snippet – $700 million on the ANZAC centenary commemoration spend– around 3 ½ times more than is being spent by every other country that took part in the War combined. Then there’s the fact that the Australian government is spending $1.1 billion on war memorials between 2014 and 2028. Consider the other things on which this money might be spent. Not a penny of that commemorative money in this book though. We found the last shilling ourselves! When we think so much about the Invictus Games we are not thinking about why these young men and women, now needing repair, were sent to war in the first place. There can be no doubt that the Invictus Games is a good thing for them. But is the spectacle of the Invictus Games a good thing for us? For our collective conscience? What the anthem quality of national sentiment (I am, you are…) , what the war on terror, what the Invictus Games and the Australian War Memorial all have in common is that they promote a mythology of who we are and how good we are, at the expense of an understanding of and an acknowledgement of some questions that are very simple, very fundamental – for instance – how it is we are here; for instance – who is responsible for the crimes against humanity – crimes of undeclared war – by means of which we are here. For better and for worse Australia has been becoming a white man’s country for several hundred years; becoming other things as well of course; becoming better in many many ways. Yes it’s good we Australians defeated fascism and didn’t become a Japanese colony, and this victory could not have been achieved without our armed forces and without the loss of Australian lives. And we should rightly mourn such loss and celebrate such a victory. The way the world is looking today, we should gird up the loins for possible further struggles to come – further struggles for democracy and against fascism. This polemic is not about singling Australia out as bad country, not at all. I firmly believe that, despite the current leadership and its lack of moral fibre, we’re one of the best nations, but I wonder if nations are such a good idea. Does poetry – do the arts – need to be in the service of nations? I think a book like this – full of diverse forms of witnessing and reflection – is about how we can be better, how we can find better ways to be in the world. Poetry is a means of world bettering. Today, nation is the world’s deadliest abstraction. It is military force that makes nations deadly. Christopher ‘Poodle’ Pine wants Australia to be one of the world’s ten top weapons exporting nations. Is that a good aspiration for him to have on our behalf ? Is it sacrilege to ask such a question when we are remembering our war dead? Might we be glorifying in war at times without meaning to do so? Blood sacrifice… baptism of fire – these were – these are – words gloried in. Are empires good to die for, good to kill for? Do we need to have nations? Would the world be better off, be safer, if there were no nations or empires? I think it’s very pertinent today to ask these questions that were on so many lips one hundred years ago when that Armistice was signed. Bringing this book together has been a truly collective effort. 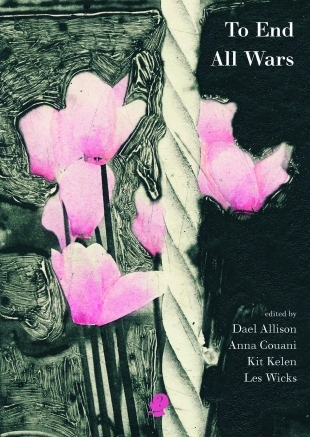 In this book are many of the usual suspects of Australian poetry along with many unexpected voices. I’ve decided for this speech to mention none of them in particular, for fear of favouring any over others. Their words are here for you, and though dipping in and out is the more conventional method, I recommend you read the collection cover to cover if you can find the time to do that. This is less an anthology of anti-war poems per se than we the editors might, from the outset, have imagined. It is more a collection of witnessings, mainly civilian witnessings, of events and impacts of war. This war and the next one and the ones that have followed since – these wars have shaped so much of who-we-all-are gathered in this room today. So thanks to DFAT and the government of Tony Abbott for motivating a bunch of peacenik poets to get off their spotty behinds and encourage some serious thinking about what 11/11/1918 has meant for Australians and for New Zealanders. Les and I were joined by Anna Couani and Dael Allison, which among other things, made us a gender-equitable team for the task. Anna has provided the wonderful etching for our cover. Dael and Les have been our logistical powerhouse in getting this job done. I thank them all. An honour and a privilege to work with them on this book. I think each of the four of us combined very different but compatible skills. There were repeated moments each of us felt groaningly overwhelmed by this project, and someone always – one of we four – stepped into whatever breach there was to fill. The project had its own momentum and found its publisher and here we are today. Conscience with its own rudder! That’s what poetry can be! And it’s what I hope you can all grab hold of somewhere between these covers. Volumes of Kit Kelen’s poetry have been published in Chinese, Portuguese, French, Italian, Spanish, Swedish, Indonesian and Filipino. 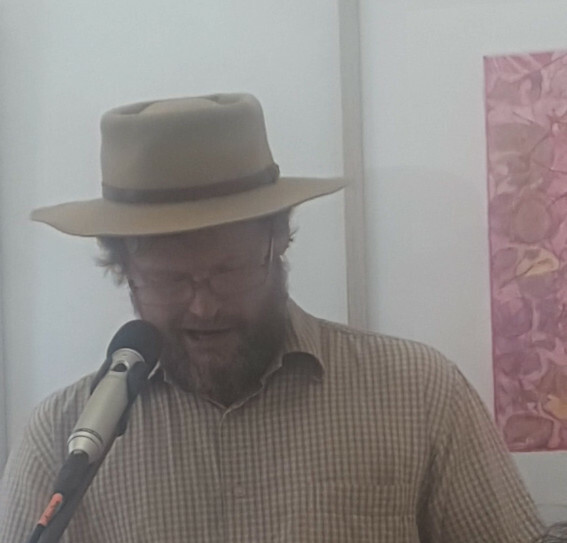 His most recent English-language collection, Poor Man’s Coat – Hardanger Poems was published by University of Western Australia Press in 2018. Kit Kelen is Emeritus Professor of English at the University of Macau, where he taught Literature and Creative Writing for many years.